I hope it's been a lovely weekend so far for you. Mine has been quite...filling to say the least! New York City has endless options of foods & sweet treats, and I seemed to have taken advantage of all of them at once this weekend. Friday I celebrated my 2 year anniversary living in New York City with one of my absolute favorite treats -- Taiyaki! A Taiyaki is a Japanese dessert that features a fish-shaped waffle with ice cream piled inside. The NYC location has delicious flavors like matcha and black seasame, or traditional American flavors like vanilla and chocolate. 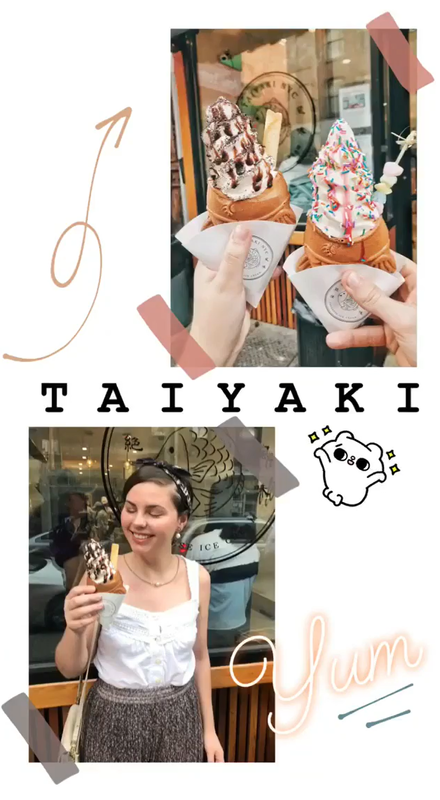 Taiyaki is a must visit if you're coming to the city! 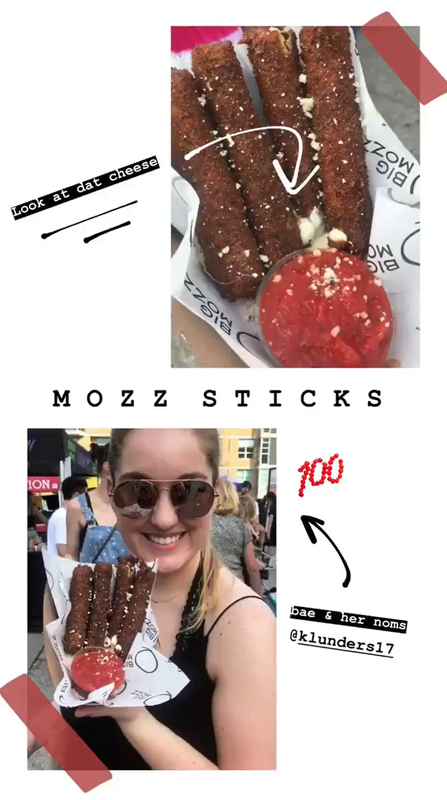 On Saturday I went to Smorgasburg, which is a food festival hosted in Brooklyn every weekend during the summer (Williamsburg on Saturday & Prospect Park on Sunday). There's over 100 vendors carrying all sorts of food varieties -- there's too many to list, so see them all here! Smorgasburg is another place I highly recommend if you're visiting the city. It's a great way to try many of the top eateries in NYC all in one place. Plus, there's a simply stunning view of Manhattan to enjoy while you eat! Yesterday I got jerk chicken dumplings with a pineapple sauce, then topped it off by splitting mozzarella sticks with my roommate. Still can't get over the seasoning on those! Finally, I tried the infamous Van Leeuwen ice cream in Greenpoint, Brooklyn. Van Leeuwen is a cult-favorite here in NYC, known for using fresh ingredients and having a robust selection of vegan ice cream. Locations can be found throughout Brooklyn & Manhattan, but all the ice cream is made in Greenpoint! I tried a single scoop of the peanut butter and marshmallow crunch and man oh man... it may have been the best ice cream I've ever had. Today, I'm definitely taking a break today from all the heavy eating and hoping to simply relax & get some work done! 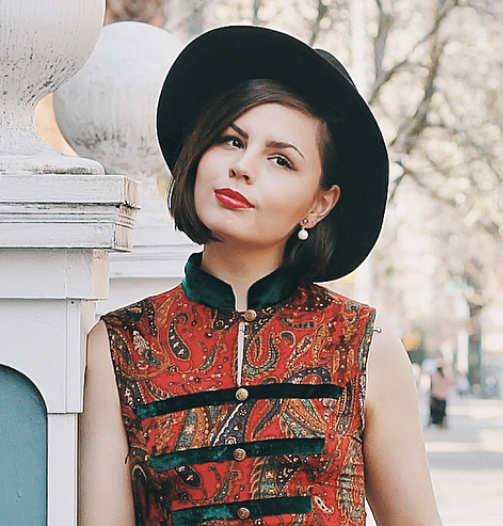 I'm excited to share these outfit photos with you all that I took last week, featuring this beautiful vintage handbag. I found this vintage macramé bag during my last visit to Ohio for $2 at my favorite store, Volunteers of America. This bag features stunning handwoven macramé and a really unique wooden handle. I actually set the bag down too hard a few week back and snapped the handle in half -- I was devastated! Luckily, a little bit of wood glue did the trick & the bag was back in business. I've been finding a ton of lovely vintage handbags recently in my thrift adventures -- looking forward to sharing them with you all soon! dress thrifted (similar)| bag thrifted (similar from UO- comes in black) | headscarf thrifted (similar) | heels old navy - also comes in black! That dress is dreamy! What a lovely dress and it fits you really well! The food you described sounds fab!! !